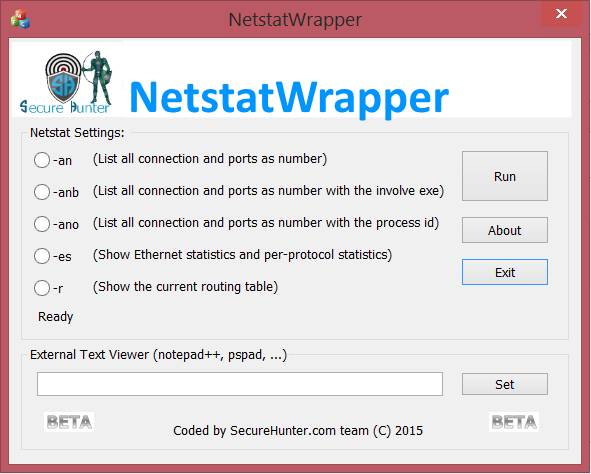 With this small tool you can run some of the netstat command line tool and see the result in Notepad, or any other configure text viewer tool. 2. If you get a User Account Control (UAC) allow it to run – Press on Yes. 3. Select the netstat command you want to use. 4. Optional: You can select a text viewer that will show the output command data. 5. Press the Run button to execute the command. 6. A text file will be open with the command result.